Your Tour Guide: Diego Araya – Professional Photographer and Expert Wildlife Guide. Diego has always been passionate about nature and wildlife. During his studies in Marine Biology he began to explore photography in search of intimacy and complicity with animals. Once he got his college degree, and after some travels around Europe and North America, he found work with the national Park Service in Chile running projects related to ecotourism and conservation. In 2004 he left behind his professional achievements and urban conveniences to live in Patagonia in pursuit of his long-life dream and to be one with nature. Over the years he has managed to create one of the finest and most complete professional photography archives of Patagonian wildlife together with becoming one of the most qualified residents in tracking, approximation and photography of the fauna in the region. 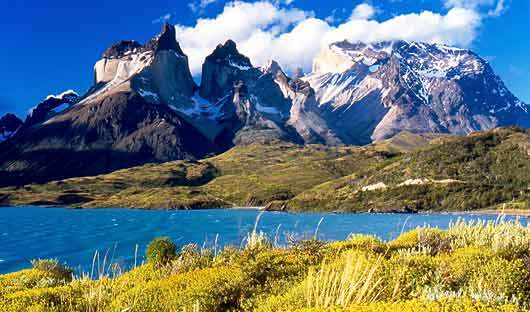 Diego featured in the BBC’s “The Dark” in Torres del Paine and in 2009 he published Patagonia 237, his first book. At the moment he is an professional wildlife photographer, EcoCamp Photo Adventure Tour Guide, and is working on several editorial and tourism projects. Your day will begin at Punta Arenas Airport. 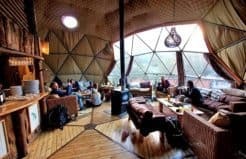 From the airport, you will be taken to EcoCamp Patagonia, where a hearty lunch will be provided in our Community Domes. 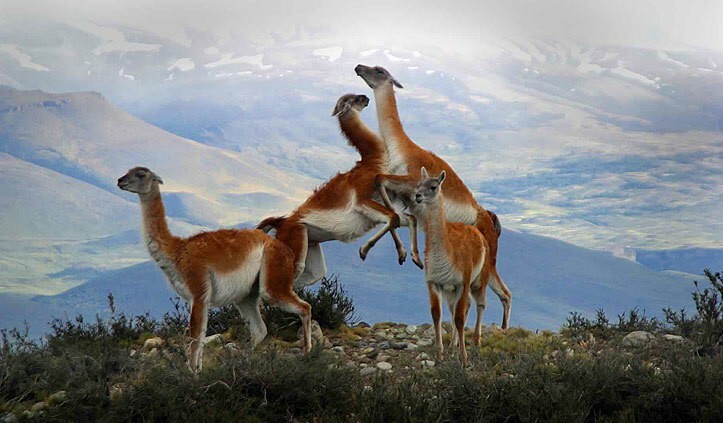 The first activity of your Patagonian adventure will then begin at midday with a leisurely tour of the National Park, giving you plenty of opportunity to admire the Patagonian steppe with its guanacos and snow-peaked mountain horizon. 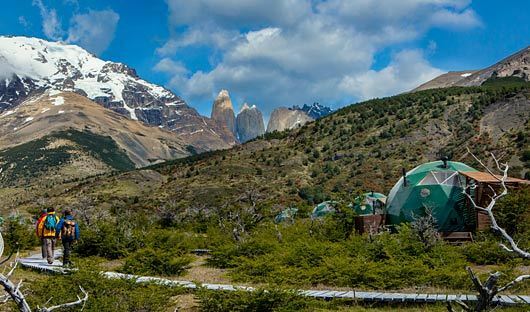 Cascada EcoCamp is nestled in a beech forest inside the eastern edge of Torres Del Paine National Park (Patagonia Chile), facing the three granite monoliths from which the park gets its name (blue towers). Cascada EcoCamp is camping in style, or ‘glamping’ – an environmentally friendly eco-camp that offers a superb way to get closer to nature and a comfortable base from which to explore Patagonia. We start off each day early, photographing the sunrise from distinct locations while enjoying hot coffee and breakfast on the go. 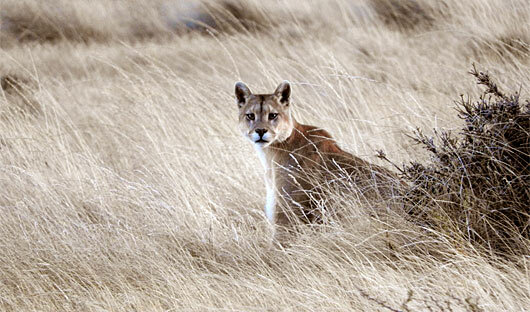 Our puma/cougar tracking team, already hard at work, will be in radio contact to let us know how they’re doing. 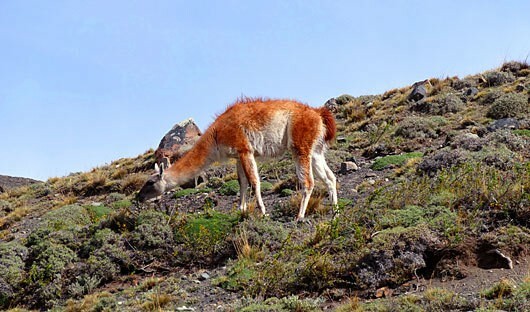 Throughout the trip they will be letting us know the location of the park’s most elusive animals including the Andean puma (mountain lion) and the endangered huemul (South Andean deer) so that we can head to the sites where they are as soon as they’re spotted. We will usually begin our wildlife exploration close to EcoCamp, in the park’s eastern sector, making the most of the beautiful morning light and animal activity. We enjoy around six hours of wildlife observation, studying and photographing the park’s native flora & fauna, guided by Diego’s photography tips, before heading back to EcoCamp for lunch and relaxation time. In the afternoons, after the peak sun hours with little animal movement, we head out again, this time to the park’s western sector where we enjoy the beautiful landscapes and flora & fauna to be found. We visit landmark places such as Grey Glacier and other striking natural monuments. Our guide Diego takes us through the different habitats and ecosystems in the area, introducing us to the unique and colourful wildlife of Torres del Paine and teaching us the methodology for responsible observing wildlife. After photographing the iconic Patagonian sunset over the Paine massif we return to EcoCamp for dinner and well-earned rest. N.B. In the event of bad weather alternative activities will be planned, for example to scenic waterfall Paine Grande or Laguna Azul. Your last day will begin just as all your other activity-packed days will begin: with an early, hearty breakfast served amongst your fellow wildlife lovers in our Community Domes. From there, you will embark on a short day of activities before regrouping at EcoCamp for a well-deserved lunch. You will then be taken to Punta Arenas airport, where you will arrive late in the evening.